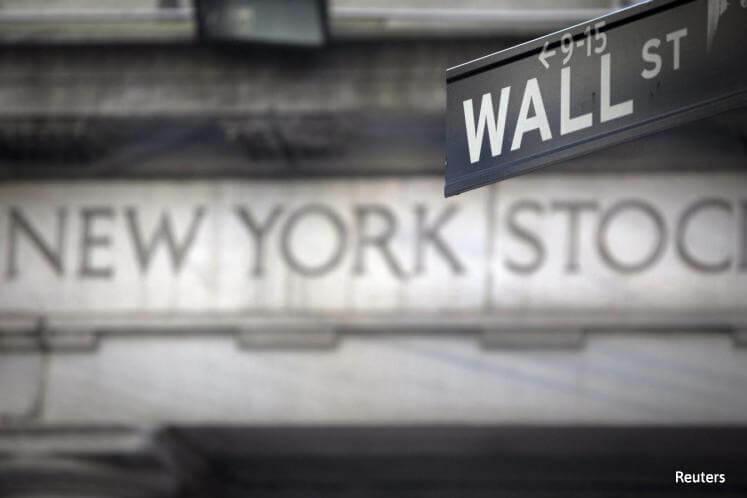 NEW YORK (April 11): US stocks extended losses on Tuesday, setting up for their worst day in three weeks in a broad decline as mounting geopolitical tensions drove investors to safe-haven assets. The White House said on Monday President Donald Trump was open to authorizing additional strikes on Syria if its government uses chemical weapons again or deploys barrel bombs, while North Korea warned of a nuclear attack on the United States if provoked as a US Navy strike group moved towards the western Pacific. Prices of safe-haven gold rose more than one percent, up the most in nearly one month. Investors also ditched riskier assets for the Japanese yen and US Treasuries. The dollar softened, while oil prices eased from five-week highs. The moves in bonds, foreign exchange and stocks are suggesting a risk-off trade because of the geopolitical concerns, said Quincy Krosby, market strategist at Prudential Financial in Newark, New Jersey. "The question is, is there going to be an escalation, and that's always what the market is worried about, particularly with a new administration." At 10.45am ET (1445 GMT), the Dow Jones Industrial Average was down 95.14 points, or 0.46 percent, at 20,562.88, the S&P 500 was down 16.04 points, or 0.68 percent, at 2,341.12 and the Nasdaq Composite was down 54.81 points, or 0.93 percent, at 5,826.12. Ten of the eleven major S&P 500 sectors were lower. Technology was the biggest loser, with a 1.1 percent decline, pulled down by Apple. The iPhone maker's shares fell 1.7 percent, the biggest drag on all the three major Wall Street indexes. The financials sector was the second-biggest loser, down 0.93 percent, weighed down by Bank of America and Wells Fargo. A rally in financial shares stalled recently as investors fretted over lofty valuations ahead of first-quarter earnings season that begins later this week and Trump's ability to make good on his pro-growth promises. Real estate — considered a defensive play of the broader index — was the sole gainer. Utilities and consumer staples, the other defensive sectors, declined the least. The CBOE Volatility index, also called Wall Street's "fear gauge", shot up to its highest level in five months. Shares of online coupon provider RetailMeNot jumped nearly 50 percent to US$11.55 after agreeing to be bought by marketing services company Harland Clarke. Walt Disney rose 0.5 percent after being added to Goldman Sachs' conviction list. Declining issues outnumbered advancers on the NYSE by 1,783 to 985. On the Nasdaq, 1,648 issues fell and 954 advanced. The S&P 500 index showed four 52-week highs and one low, while the Nasdaq recorded 34 highs and 27 lows.